Watch the video above to learn how to make simple royal icing with an egg. 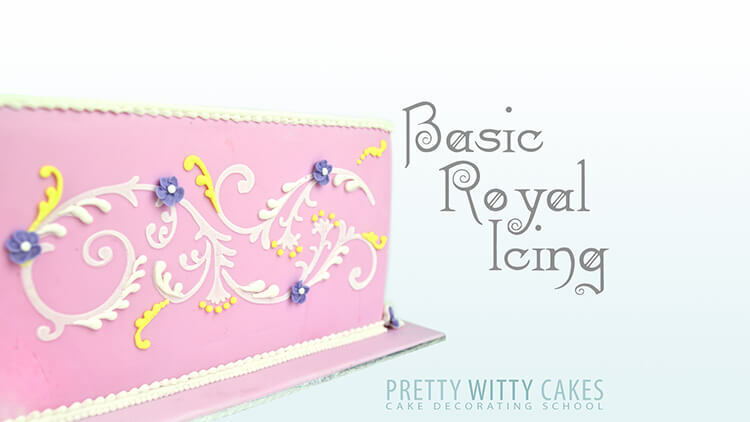 Royal Icing is one of the simplest and most traditional icings there is. It's made from confectioners’ sugar (powdered sugar), egg whites and flavorings. It is most typically used to decorate cookies, cakes and ginergerbread houses amonst other things. 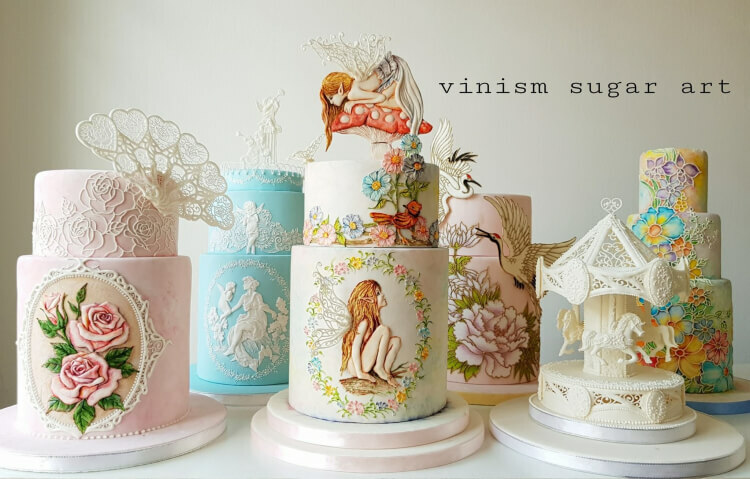 Designs can vary from simple dots and lines in royal icing to advanced designs like the amazing creations of the Pretty Witty Academy's Guest Tutor Kelvin Chua. Is it ok to use a raw egg?? In short, yes! As long as you take the usual food safety precautions. Most eggs from supermarkets will have been treated and will be fine. It is when you are using organic or eggs from your own chickens, you want to take the usual precations. Raw Egg is not poisoness. It is the bacteria around it that causes harm so just as with any food, you need to keep your area of work clean and sterlised. Having said that, for pregnant women, the usual rules will still apply. 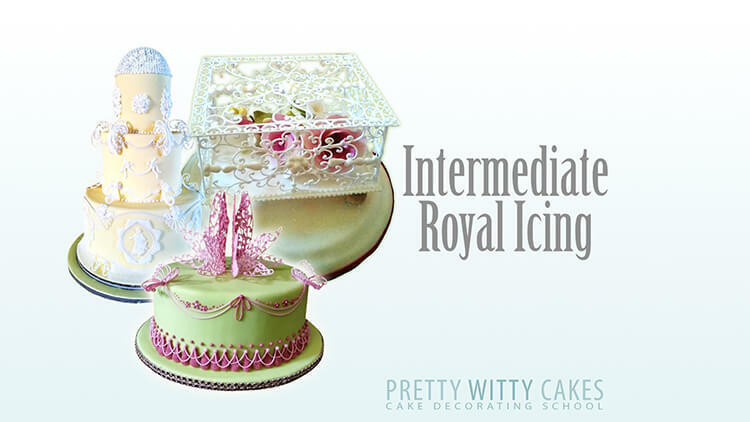 It is possible to make royal icing using powdered meringue power (there is a full tutorial on this inside the Pretty Witty Academy). 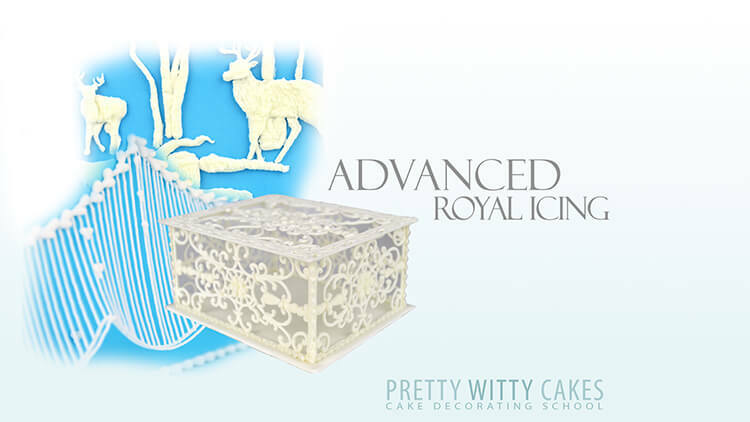 You can also use (in some countries), pre-box royal icing powder where you just add water. 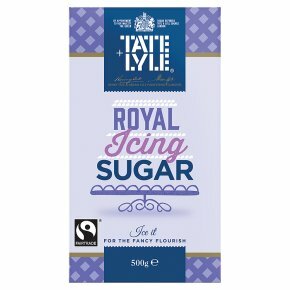 The most common in the UK is Tate & Lyle Royal Icing Powder which you can get in supermarkets and which is very easy to work with. Can you use granulated sugar instead? Nope. It won't work. You need the soft powery confectioners sugar (icing sugar) to make royal icing yourself. Can you use royal icing to cover a cake? Yes absolutely. Traditionally in the UK cakes were covered in Royal Icing rather than fondant so it was common to have a royal iced cake. 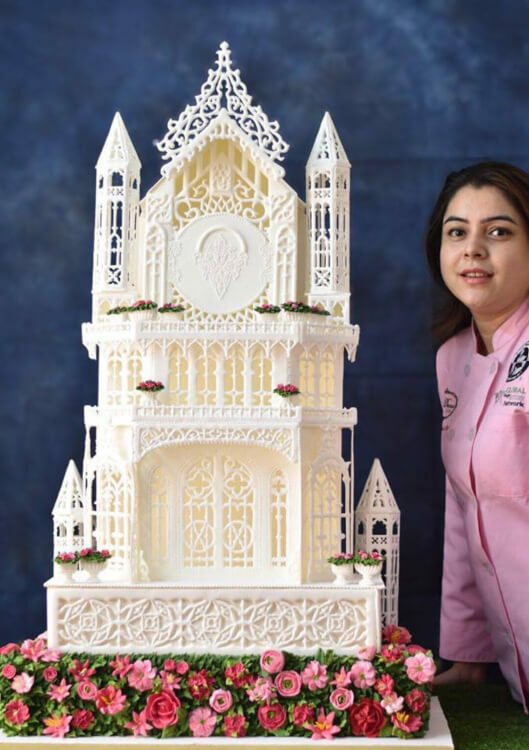 These days royal icing is used more for decoration that the actual covering and is often piped onto a fondant covered cake. Is royal icing easy to work with? It is not that difficult to use but it does take a little practice. The key thing to remember is that it will dry hard and brittle. This means that it is very fragile and it can break when knocked. You will get used to how hard you can handle it but in the early days make spares of decorations so you have back ups for breakages. Another useful tip is to keep your royal icing covered with a damp cloth when you are working. Also stir the bowl every now ana again so it doesn't dry out. If it does dry add a couple of drips of water to it. You can change the consistency of royal icing with ease. You just need water. Hard peak royal icing which is quite stiff has less water and soft peak which is quite runny has more water. For making cookie tops you will need to make the royal icing runny and spreadable - this is called "flooding" cookies. You can add either water or lemon joince to royal icing to thin it and if you make it too thin just thicken back up again by adding more confectioner's sugar. Royal icing takes a little time to dry so build that into your decoration time. With cookies and flooding you will need a good half day for them to dry properly. Piping takes less time but you still need 30 mins plus for little details to dry properly. The thicker the decoration the longer it will take to dry. How do you store royal icing? Fresh royal icing that shown in the free tutorial (with egg whites) should be kept in the fridge and usually keeps 2 to 3 days. If you make royal icing from meringue powder, you do not need to store in the fridge and will last a little longer. To store royal icing, avoid plastic bowls which can have grease in them. If in doubt wipe the bowl with lemon juice first. A glass bowl is best to use. The place clingfilm over the top so it is pushed down and touching the icing....removing any air. When you’re ready to use your royal icing, take out the fridge and let it come to room temp and then mix again. You may need to add some more water if it is a little crispy on the top. You can freeze royal icing in food bags. It keeps for around 1 month. Make sure to take out the freezer the night before and let it come to room temperature before you start using it.